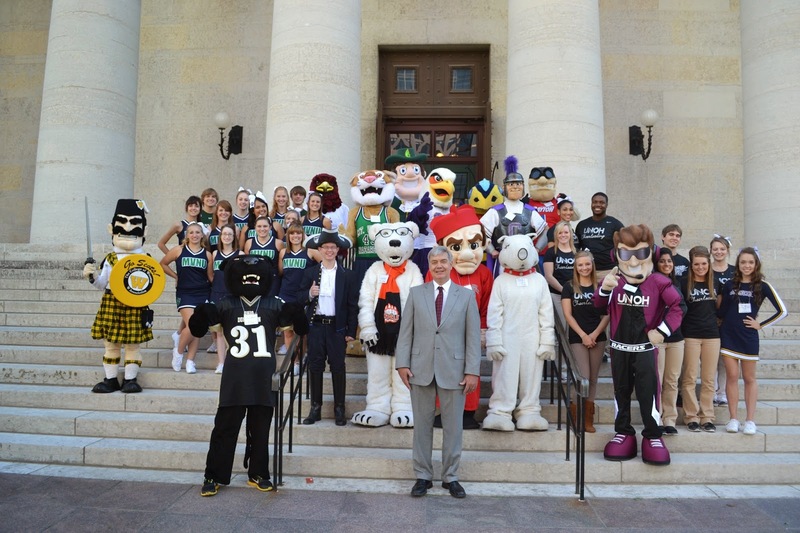 AICUO hosted the first ever Mascot Day for Ohio's Independent Colleges and Universities on October 9, 2013, at the Ohio Statehouse. 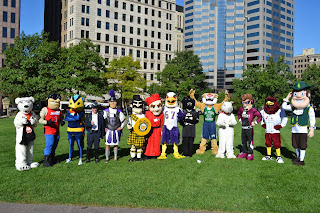 Mascots from around Ohio participated in the day, including: Ashland University, Cedarville University, Ohio Wesleyan University, Ohio Northern University, Capital University, Otterbein University, The College of Wooster, Marietta College, Ohio Dominican University, University of Northwestern Ohio, Wilmington College, Mount Carmel College of Nursing, Tiffin University, Hiram College, Mount Vernon Nazarene University, and The University of Dayton. Mascots and cheerleaders from independent colleges in Ohio took pictures with legislators and alumni, performed routines and greeted countless visitors to the Statehouse.